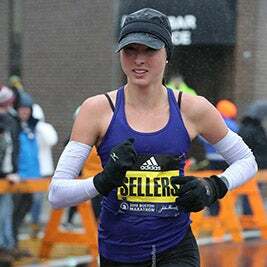 Photo of Sarah Sellers at the 2018 Boston Marathon by PhotoRun. 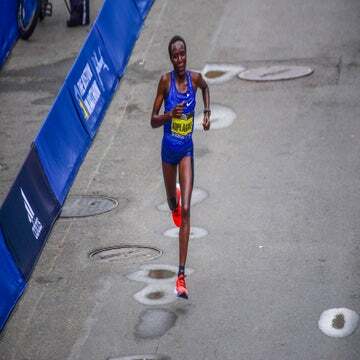 This was the question on everyone’s mind as spectators watched the top elite women finish arguably one of the most grueling Boston Marathons in the race’s long history. Even internet message board sleuths—famous for uncovering elaborate marathon cheating scandals—struggled to find info in the initial hours after Sellers crossed that rainy, windy line in Copley Square in second place. 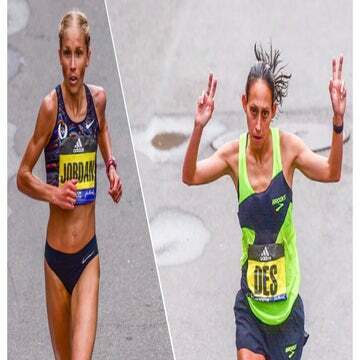 The truth is that the sponsorless, 26-year-old, full-time nurse anesthetist from Tucson, Ariz. is one of this year’s greatest running underdog stories—nearly eclipsing Desiree Linden’s fairytale win. Meet Sarah Sellers. In 2017, Sellers raced her first marathon—setting a course record at the Huntsville Marathon in Utah and grabbing herself a Boston qualifying spot. Despite her win and qualification, Sellers didn’t earn herself any sponsors and continued to train each morning at 4 a.m. before a long day of work at the Banner Health Center in the Tucson area. In fact, Sellers only raced Boston this year because her brother Ryan had signed up. (It’s obviously in the genes: he finished the marathon only a few minutes slower than Sellers in 2:48.) According to a BBC Online story, without an agent or sponsors, she actually paid the $185 race entry fee herself. So with only one marathon under her belt and no professional support, Sellers braved the wet and windy conditions to pass some of the greatest marathon runners in the sport over the final miles—including 2008 Olympic 10K silver medalist Shalane Flanagan, who she passed between miles 21 and 24. 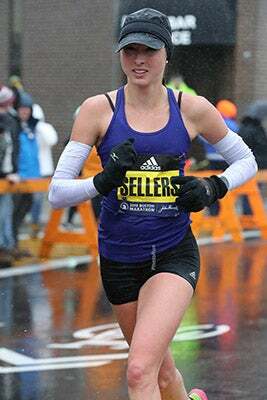 Despite her disbelief, Sellers joined six other American women in this year’s top 10 at Boston—a feat that hasn’t happened since race organizers began instituting prize money in 1986. Sellers is also the highest-placing Utah native to ever finish the event.